SECTION27 is a high-profile non-profit organisation that uses public interest law and advocacy to protect, promote and advance human rights and social justice. If you are passionate about human rights, self-motivated and would like to lead a dynamic team working to challenge inequality and positively influence society, joining SECTION27 could be the opportunity you have been looking for. Our activities include litigation, research and advocacy to advance and promote the rule of law. We focus on protecting everyone’s right to access to health care services, basic education and sufficient food, as guaranteed by the Constitution. 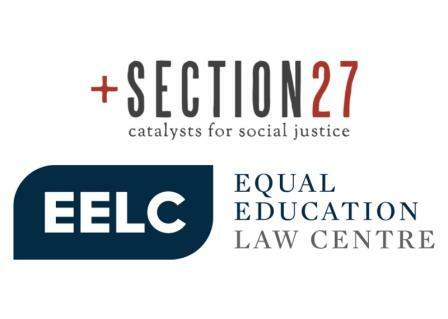 SECTION27 is looking for a visionary, analytical, politically astute and dedicated leader. This person will represent the organisation with, amongst others, government, donors, partner organisations, other stakeholders and society at large. In addition, the Executive Director will be responsible for the successful leadership and management of the organisation according to the strategic direction set by the Board of Directors. The candidate should be capable of leading a strong and successful organisation and driving the fundraising efforts of SECTION27. • Overall leadership and management of all aspects of the organisation’s programmes and operations, working closely with the Board and other members of the Executive Committee. • Planning, oversight, implementation, monitoring and evaluation of the organisation's programmes. • Building partnerships with relevant stakeholders (including communities, other organisations, media, corporates, government and donors) to ensure its effectiveness and sustainability. • Expansion of local and international funding to support existing operations and ensure sustainability. • Oversight and monitoring of staff performance. Candidates should be suitably qualified for the position, with a university degree or equivalent previous experience in a related field. Candidates should preferably have at least 10 years senior management experience, experience working with a Board of Directors, and a proven record of effective leadership and performance in a similar role. • A track record demonstrating knowledge and experience of legal and constitutional advocacy, law and social justice. • An ability to inspire and lead management and staff to meet the high performance levels required to achieve the objectives and overall operational and strategic plans of the organisation. • Proven skills in public relations, communication, networking and fundraising. • Proactive, energetic, and innovative working style, with the ability to be flexible. • Demonstrable integrity, idealism and passion, self-motivation and with a positive attitude. • Proficiency in (or working towards learning) one or more indigenous South African languages is highly recommended. The position is based at our offices in Braamfontein, Johannesburg. Please forward your curriculum vitae accompanied by a motivation as to why you are interested in and suitable for the position by 16 October 2018.